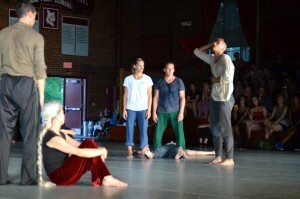 Each year, the Bates Dance Festival hosts a handful of artists from abroad through its’ International Visiting Artists Program offering a three week creative residency in which to research and develop new work, advance their studies, network with peers from around the U.S., and showcase their talent on the “Different Voices” concert. 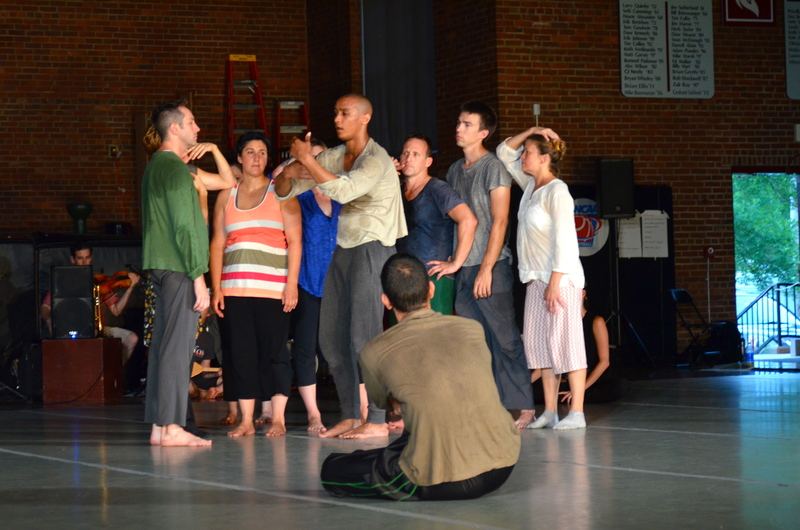 We saw these guest artists improvise together in the “Moving in the Moment” performance on July 29th. This was the first time the BDF participants saw these visitors move outside of the classroom setting. 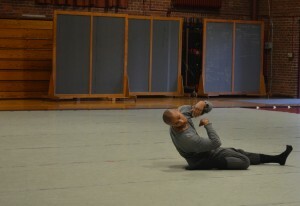 It was a fascinating introduction to see the visiting artists, faculty and staff in this raw way as dancers and creators. 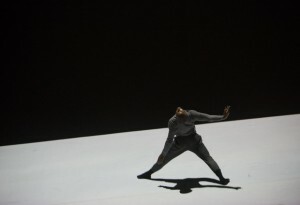 This year, one of those artists is Finnish choreographer, Ima Iduozee. During “Moving in the Moment,” we were introduced to his mythic, yet approachable presence. Long-limbed, towering over many in the room, he danced with an organic balance of power and grace. I was struck by his openness to drastic and dramatic emotional shifts as well as his availability to play with more subtle movement qualities. I sat down with Ima for lunch last week to talk about his background, creative process, and experiences at BDF. We then moved on to his introduction to Bates Dance Festival, and how he came to Maine after only having visited the US one other time. Before the showing, he shared with me about the genesis of that material. “I’ll be showing a short, very raw sequence I have gathered.” One of the scores in his new piece, Purple Nights, is “a metamorphosis from contemporary man, to neanderthal, to ape, to fish, to the single cell and maybe a reverse evolution.” He has been exploring the essence of the primal man from pre-verbal conditions, as impetus for the material he shared with the BDF community on Sunday. On August 2nd, there was an informal showing for the visiting artists to share what they have been working on while at the Festival. At the showing, Ima shared what he had developed so far for this project, as a work in progress. Even in this preliminary draft form, his porous state of being and creature-like physicality was mesmerizing, mysterious, and utterly captivating. In addition to Ima Iduozee there is a diverse and exciting group of guest artists who are in residency at BDF this summer who will be performing in the concert “Different Voices” August 6th and 7th. All of these artists have been teaching, taking class, exchanging thoughts, creating new work, and are woven into the fabric of the festival. 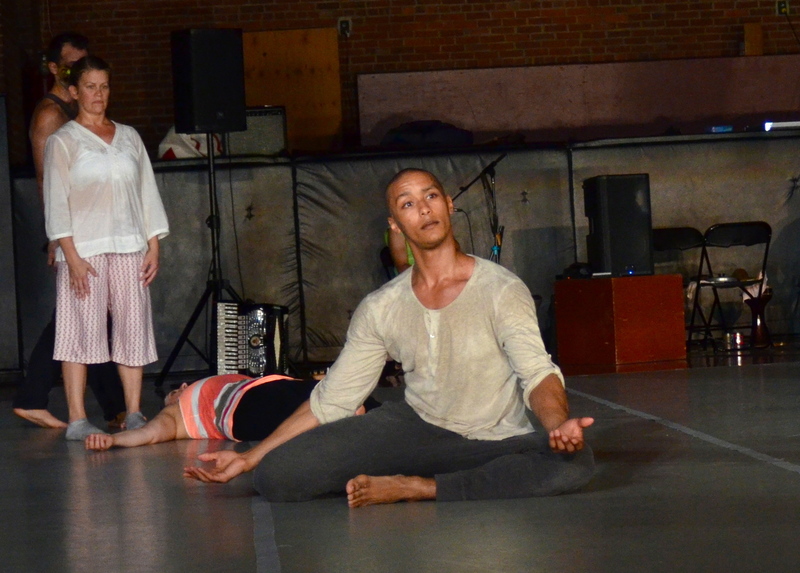 This creates a diverse environment of creators, students, and practitioners alike, all of whom exemplify BDF’s cooperative and supportive environment.